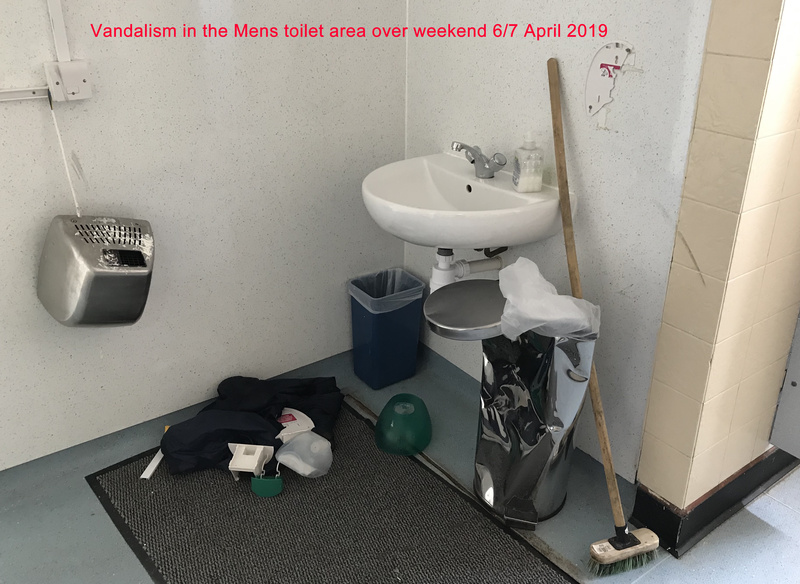 We're sorry to report that an act of serious vandalism has occured at the Squash Club over the weekend 6-7 April, affecting the Mens toilet area. We do not know how these individuals gained access, however, we have now taken the precaution of altering the security code to the entrance; all members should have received notification of the new code. 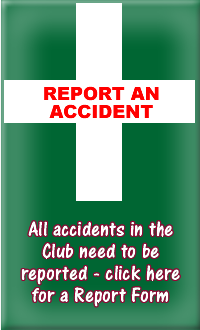 Members are asked to remain vigilant when attending the Club; please ensure security of premises when you leave and be aware of any strangers. 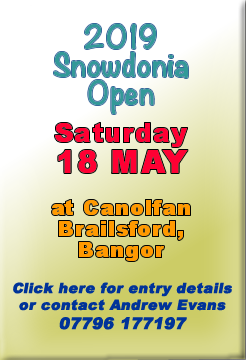 North Wales Ladies miss out ! 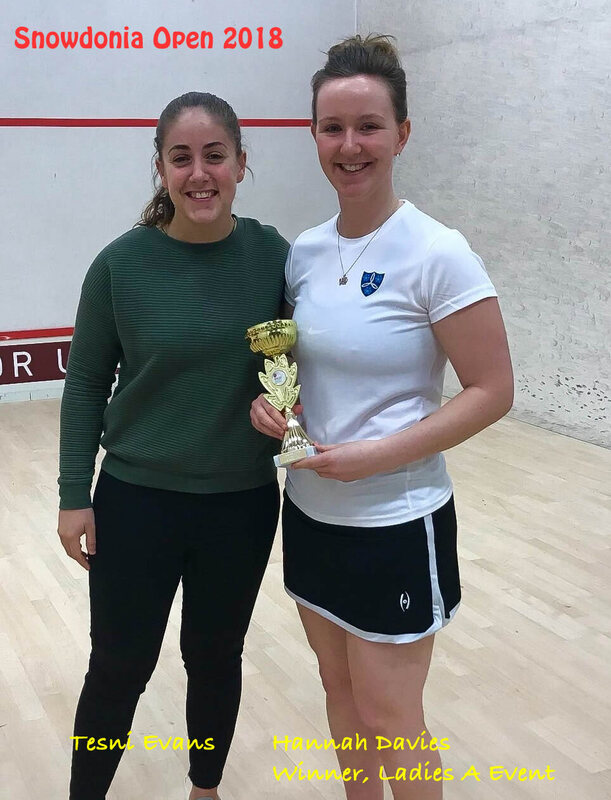 Our North Wales Ladies Team played in the England Squash Inter Counties Finals at Nottingham on 6 April and narrowly missed promotion to the Premier Division. They beat Cambridgeshire but lost to Warwickshire. It was a great achievement to make it to the Finals and here's to next year ! 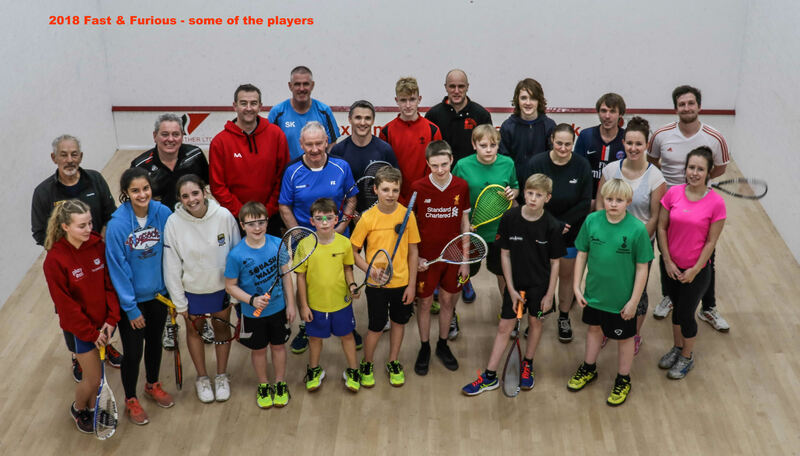 Some of our juniors represented Wales over the weekend 5 - 7 April at the Juniors 5 Nations Mixed Team Championships in Dublin; those players involved were Jamie Silvester (Under 13s), Josh Davies and Dan Lewis (both Under 15s). The boys, accompanied by their families, had a great weekend with the Under 13s achieving a Bronze Medal. 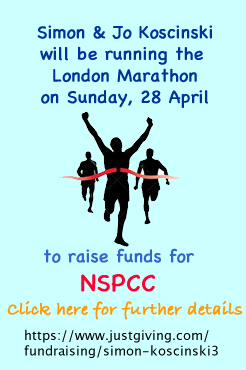 See the Juniors Page for more detail. We have our Plate Champion ! 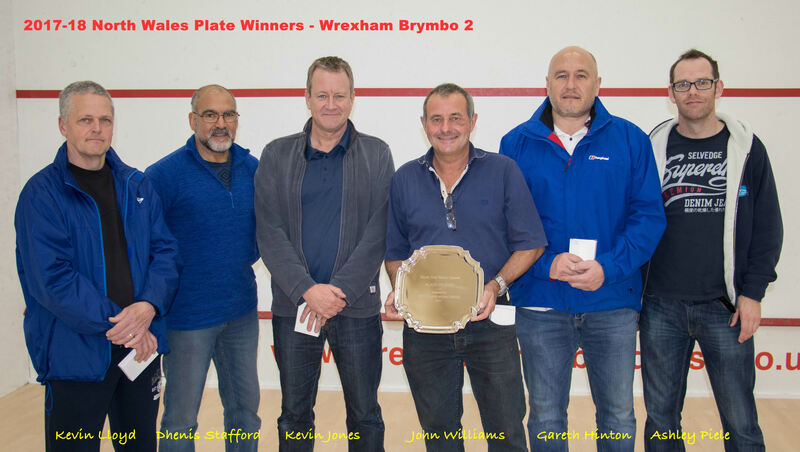 The 2018 Plate Competition was eventually completed on 25 March, when Craig Stevens and Paul Murphy played the Final. Craig came through to win the Championship by 3 games to 0. Our 2019 event will be played as part of the Club Championships, around mid-June. A Masterful weekend ... ! Huge thanks to everyone involved - players, sponsors, our volunteers and Wales Squash - on a successful first major event at the Club. 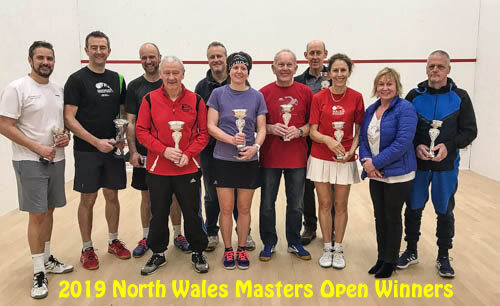 Over the weekend 22-24 March we hosted the 2019 North Wales Masters Open Squash Tournament for players of a certain age (35 years and over), with entrants from across the region competing in a range of different age categories. By Product Services [John Williams]. Thanks also to those who ran the event over the weekend - Andrew Evans, Mark Davies and Jim Tunley, with some fantastic support in the kitchen from Sandra, Beth, Hester and Lyn - thank you all for giving your time. Men 65+ Winner: Duncan Jones; R'up: Brian Wynn. Men 60+ Winner: Mark Davies; R'up: Kevin Lloyd. Men 55+ Winner: Alan Coppack; R'up: Gareth Williams. Men 45+ Winner: Darren Lee; R'up: Dan Aimer. Ladies Winner: Carla Louder; R'up: Janet Coleman. Men 35+ Winner: Jonathan Davies; R'up: Gareth Frost. Congratulations to Wales Rugby on a fantastic Grand Slam season, beating Ireland 25-7 in their final 6 Nations match on 16 March. 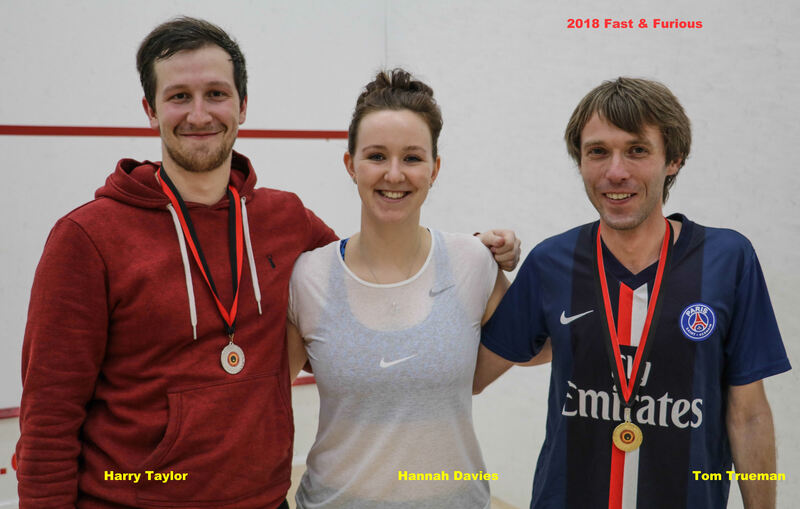 Meanwhile, across Cardiff the Karakal Welsh Closed National Championships were taking place with local players, Hannah and Mark Davies taking part. We know they were up against some tough opposition but hope that they enjoyed the weekend. Peter Creed and Tesni Evans. The internal leagues for March are now posted on the website, accessible either by using the link (right) or via the on-line booking system. Please note, matches are to be played by Sunday, 31 March 2019. 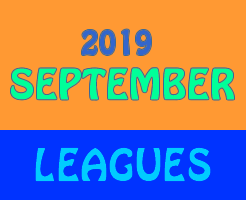 Please post all results on the Monthly League sheet that is pinned to the noticeboard. Note also, players who do not play any matches over a two month period will be removed from the leagues. If, however, any member wishes to join (or re-join) the leagues, please contact Jim Tunley. 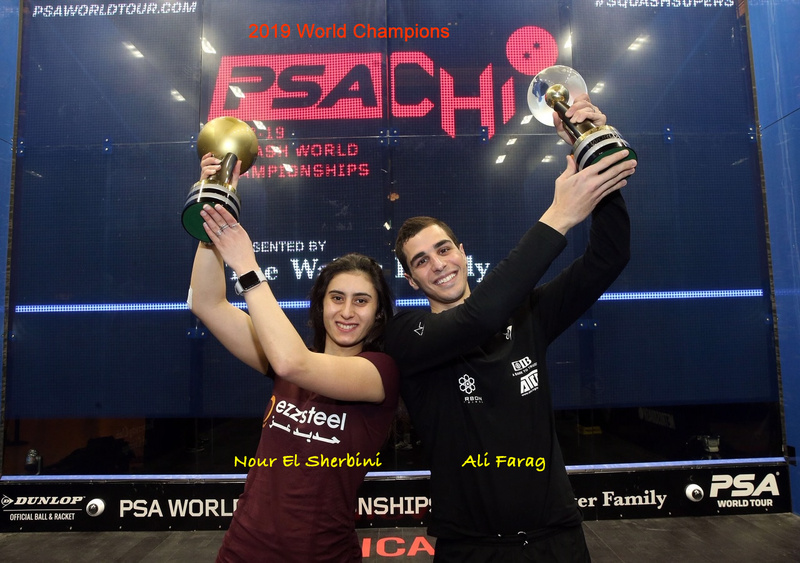 The 2019 Ladies World Champion is Nour El Sherbini, and the Mens Champion is Ali Farag, both from Egypt. 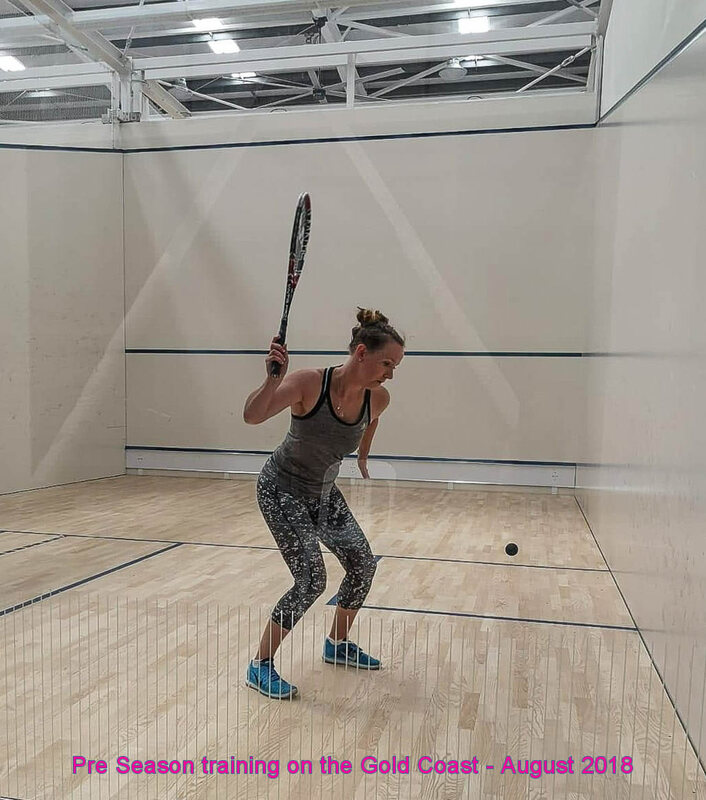 The titles were won at the PSA World Squash Championships on 2 March, held at the iconoc venue of Chicago's Union Station. 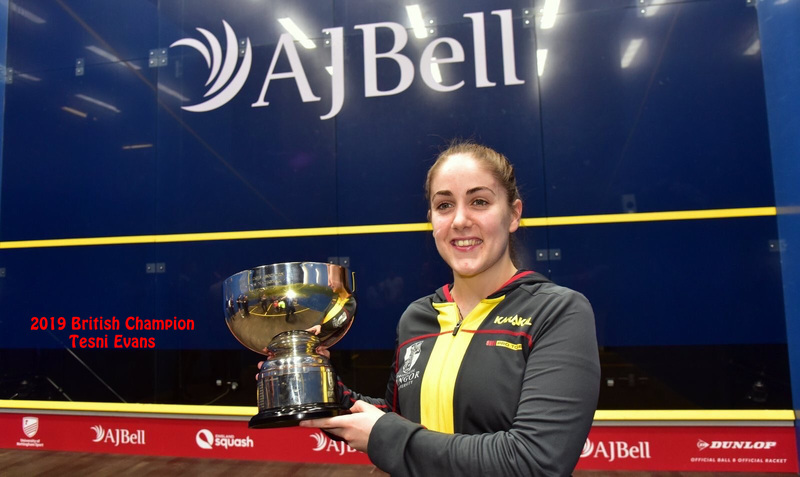 Huge congratulations to local girl, Tesni Evans, on retaining the 2019 Womens British Championship at Nottingham on 17 February. 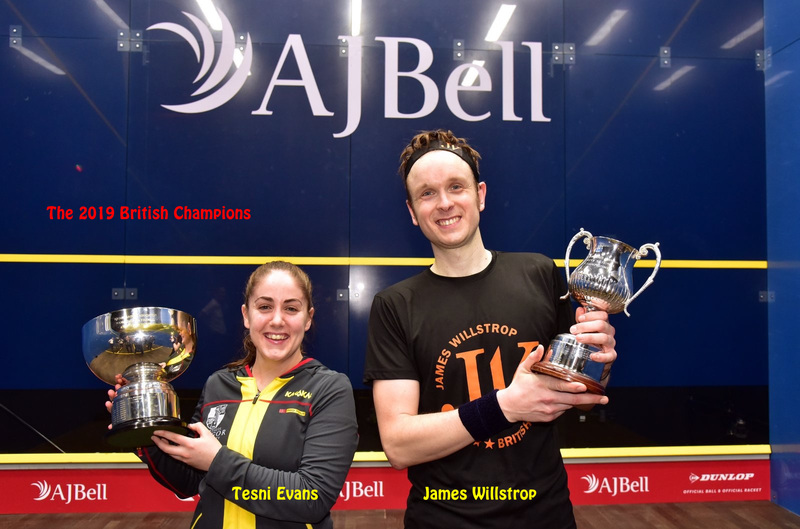 In a commanding Final, Tez went on to beat Emily Whitlock 3-0. The 2019 Mens British Champion is James Willstrop. 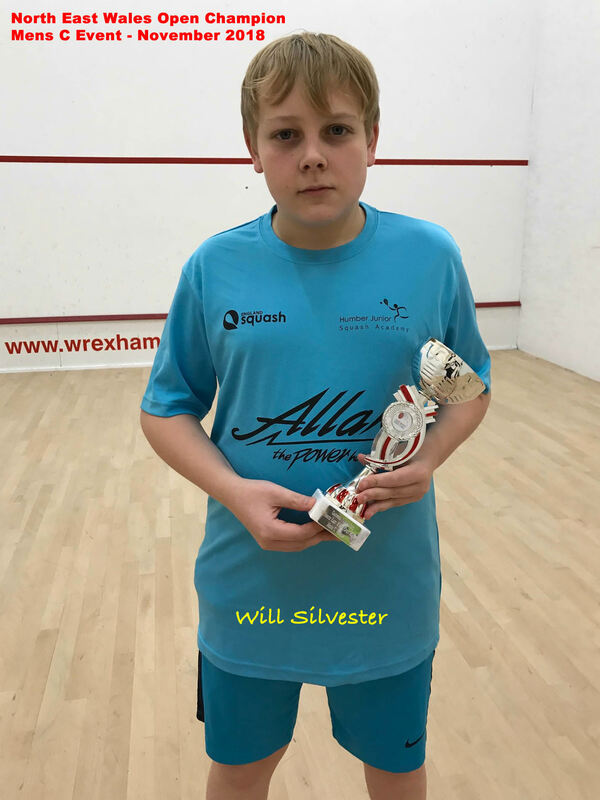 So far in 2019, some of our juniors are achieving really well, representing Wales and as part of one of the best team in the UK - see our Juniors Page for details and photos. 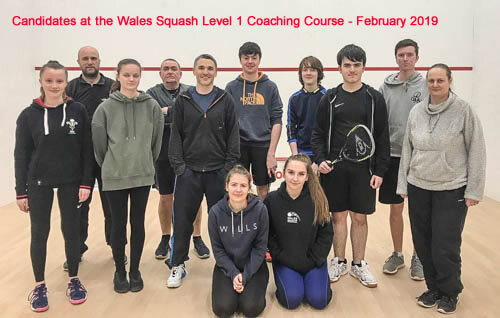 The Club was pleased to host a Wales Squash Course for the Level One Coaching Award on Saturday 16 February. The Club is seeking to encourage the development of some junior players, as well as look to the future for potential coaches. We had eleven candidates enrolled for the course, with eight of them juniors! 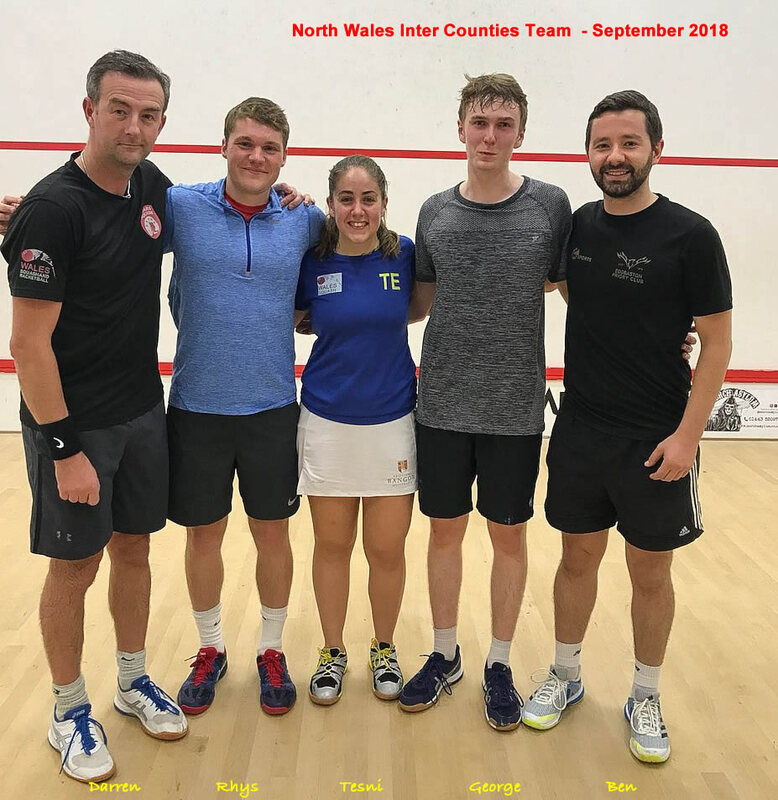 Under the guidance of Wales Squash High Performance Coach, Andrew Evans, there were candidates with a wide range of squash playing ability but all had an interest in taking further the coaching elements. Our thanks to Andrew and all involved on what was a stimulating day. Mark Davies, was the Club's only entrant at the 2019 Bourse Welsh Masters Closed, in Cardiff over the weekend 8 - 10 February. 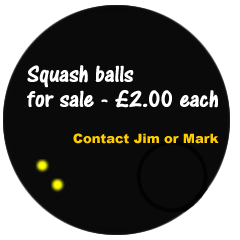 Mark was seeded at 4 in the Mens Over 60 category; he made it through to the Semi Finals but then lost out to the Number 1 seeded player. Our Club Treasurer, Kevin Jones, has had a New Year treat at the 2019 Tournament of Champions, held in New York City during January at the iconic Vanderbilt Hall, in Grand Central Station. 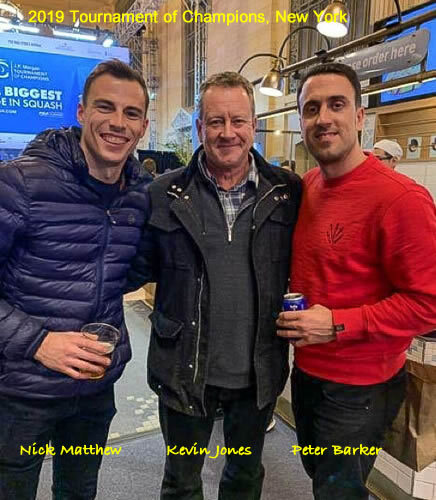 Kev watched all of the world's top players, who were battling for this top acolade in professional squash. While there, he met up with World Ranked No 10, Tesni Evans from Rhyl and the former World Champion, Nick Matthew. We were pleased that the Squash Club had been accepted as part of the Tesco Bags of Help Scheme; this grant scheme allows local projects (we were one of three successful projects on this occasion) the opportunity to go forward to a vote in Tesco stores, where their customers decide the outcome by voting for their favourite project each time they shop. 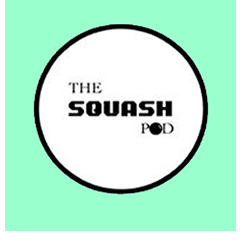 This was a great and unique opportunity; it followed an application made on the basis of the Club's commitment to growing the sport of squash, encouraging greater participation for all and, in particular, with local young people. Practical support from the Scheme will assist plans for junior development and help ensure this remains sustainable, through the recruitment and development of new coaches, as well as the on-going development and accreditation of our existing coaches. 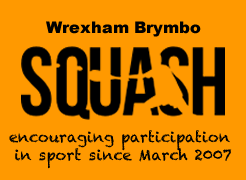 Funding may also allow us to offer some support to parents accopamying juniors to tournaments organised by Wales Squash, our National Governing Body, in South Wales or abroad. Importantly, we hope this will go a long way to help secure and support a strong local sporting future at the Squash Club. 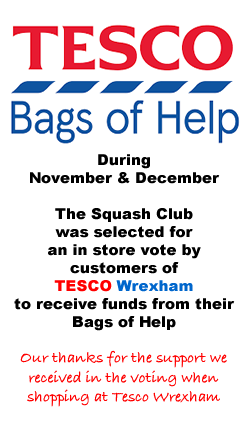 The Tesco Bags for Help Grant Scheme continued at the Wrexham store through November and until the end of December. 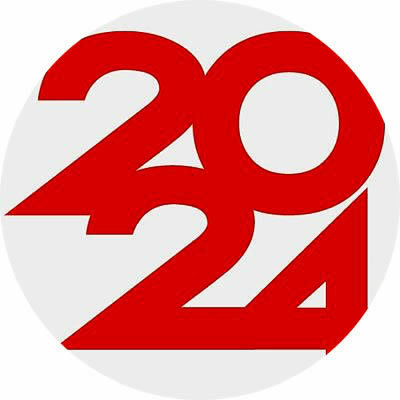 Members are thanked for their support in voting for the Club. 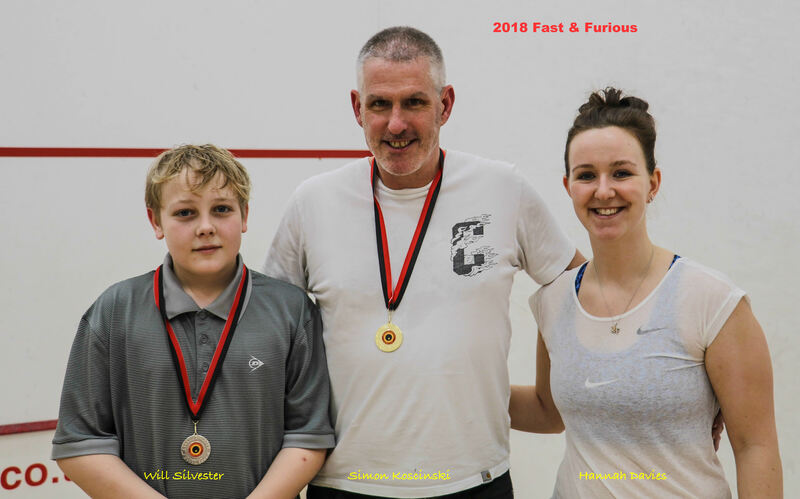 The 2018 Fast & Furious Christmas Tournament was held on 7th and 8th December, with around 30 players taking part. 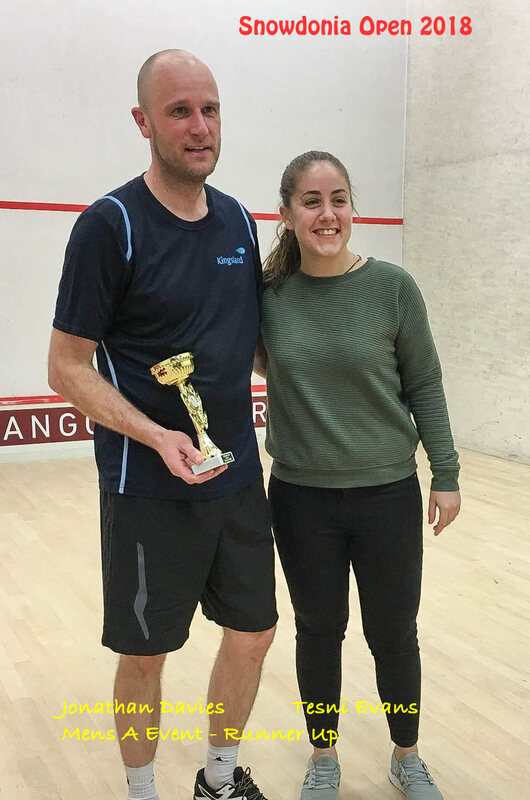 Though we were treated to some excellent squash, in particular from some our rising young and talented players within the Club; in the end, experience prevailed with our Club Champion, Jonathan Davies taking it to became a six times winner as he retained the title, with Hannah Davies as Runner-up. The Club had a buzz to it all day and our thanks to everyone for their support. 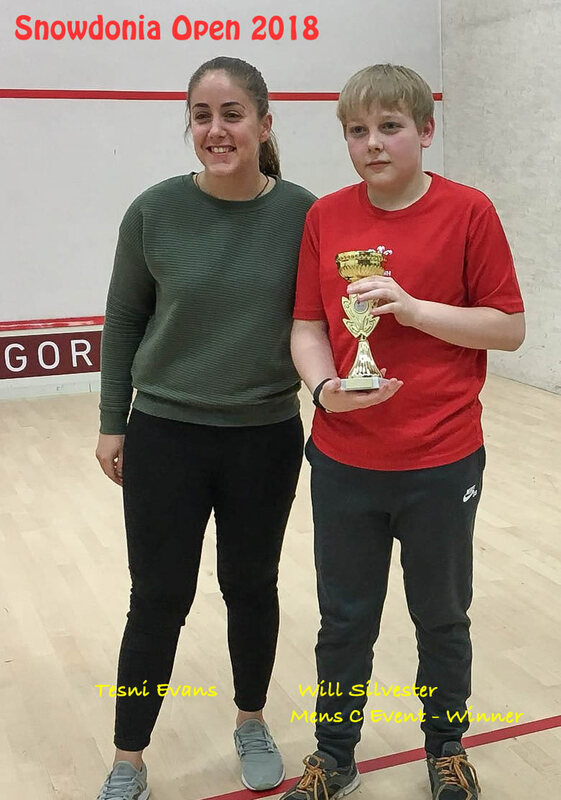 A very successful North East Wales Open Championships took place over the weekend of 10-11 November at the Deeside Leisure Centre with the Mens and Ladies top seeds taking the honours - Elliot Morris Devred and, World ranked No 9, Tesni Evans. and, notably, for young Will Silvester, who became Champion in the Mens C Event. 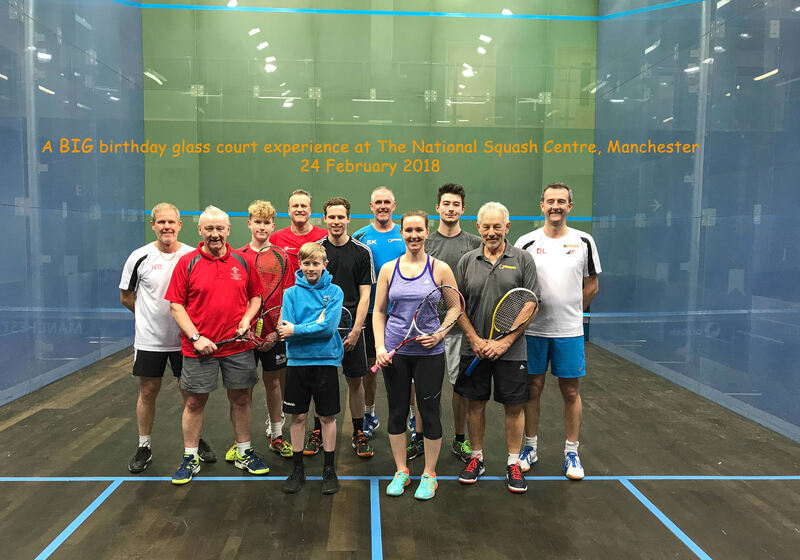 The standard of squash and the spirit in which that was played was superb - this is the sort of local tournament that our Club members really should consider entering in the future ! Congratulations to Jonathan Davies on becoming 2018 Cheshire Over 35s Champion. The championships took place at Alderley Edge over the weekend 3-4 November. 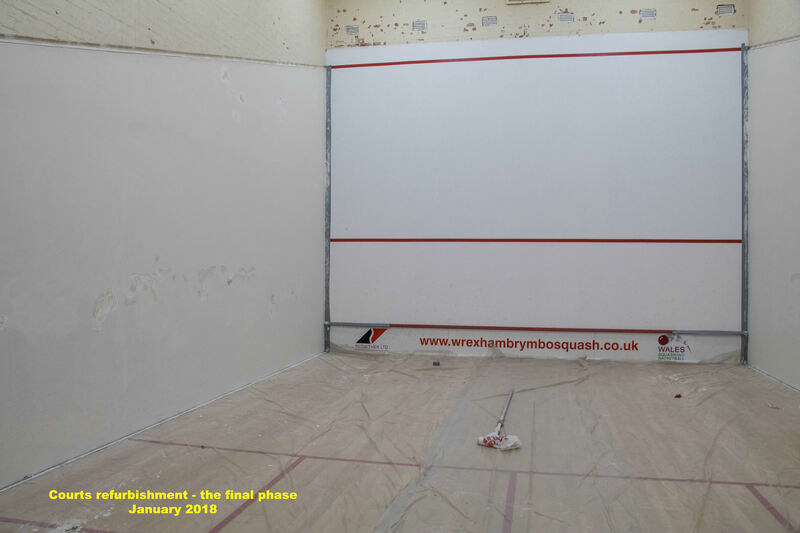 The essence of many Clubs, including Wrexham Brymbo Squash Club, is the voluntary nature of how business is managed, from the monthly leagues, the website and some of the day to day maintenance. 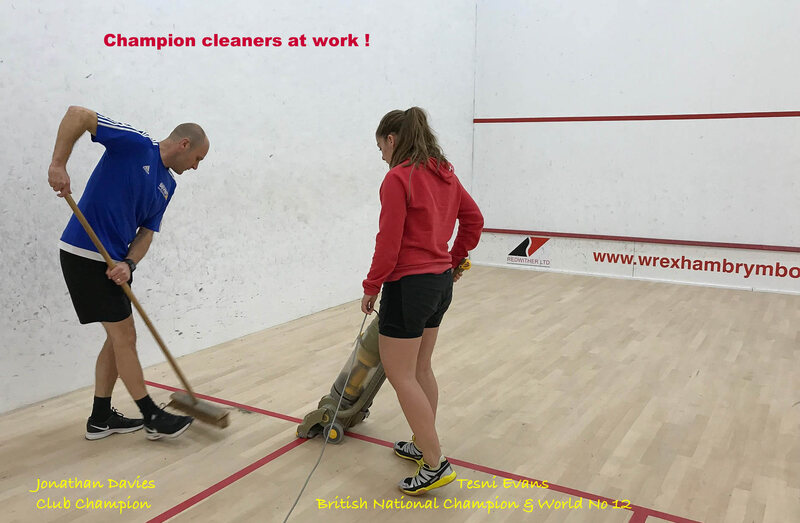 Highlighting this voluntary action, on 28 September, Jonathan Davies [2018 Club Champion] and his guest, Tesni Evans [2018 British National Champion, 2018 Commonwealth Games Bronze Medalist and current World No 12] decided to clean their court before play. We thank them for their self help initiative. Club member Sian Hughes took on a five day challenge along the Great Wall of China. Setting off on 19 October, Sian did an organised trek along The Great Wall over watchtowers and mountains, through historic battlements to the top of the "Heavenly Ladder" at Mutainyu. This very personal challenge for Sian was about raising funds for the Wrexham Hospice, Nightingale House. A Welsh Inter Counties weekend took place in Cardiff over the weekend 22 - 23 September, with some of our members taking part. 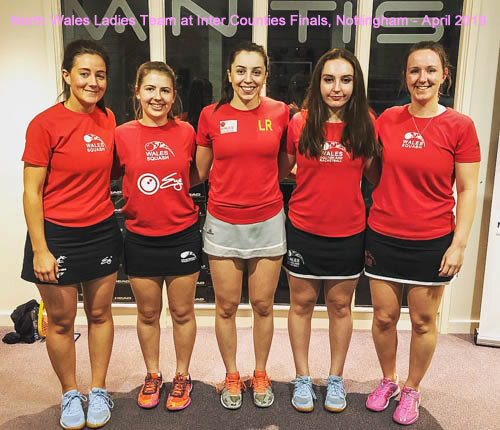 Hannah Davies captained the North Wales Ladies Team to victory over Gwent in the Welsh Senior Inter Counties Final - the Team was Lowri Roberts, Elin Harlow, Hannah Davies, Layna Beattie and Lauren Evans. The North Wales Mens Team did not have such success, however, finishing sixth out of the six teams taking part. 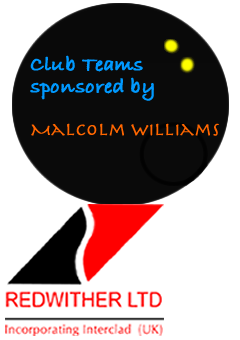 Included in the Mens Team were Darren Lee, Rhys Williams, George Thomas and Ben Murphy. Also, playing at No.1 for the Men's Team was Ladies World Ranked No 12 player, Tesni Evans. 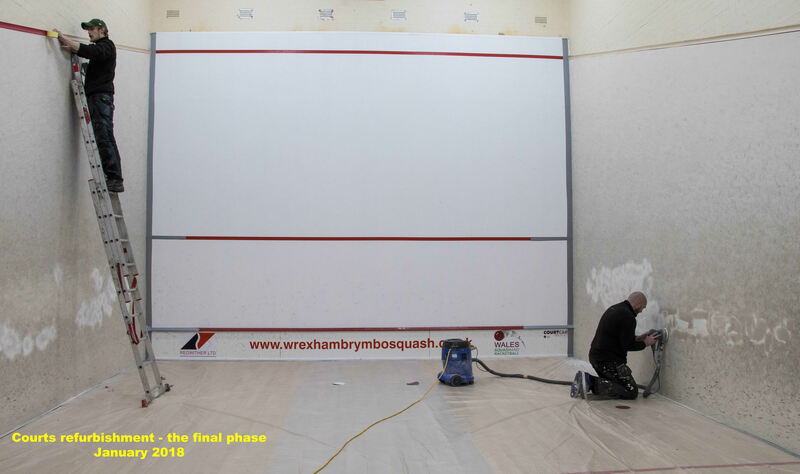 The 2018-19 Squash Season commences in September - North Wales Leagues on 4 September and the North West Counties Leagues on the 20 September. So, now is the time to get ready and follow Hannah Davies' good example - Hannah is holidaying in Australia but has managed to find time to get in some pre-season training on a Gold Coast court, as used in the recent Commonwealth Games. It's a new subscription year ! The beginning of June marks a new subscription year for the Club and, the good news is, all of this year's fees remain unchanged. Our AGM agreed to hold all subscription categories as last year, as well as the light card fee at £3-00. £40 for Juniors / Students (in full time education or training). £60 for two children in a family. £110 for a Family (two adults and children). 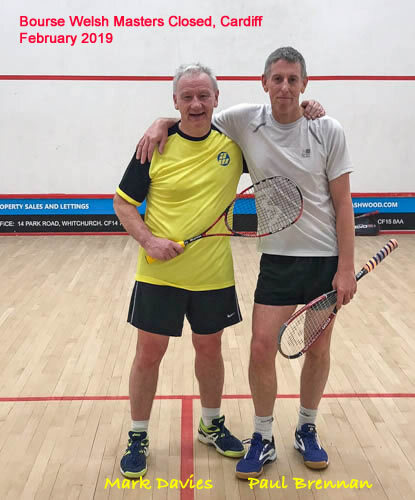 Huge congratulations to Darren Lee who made it through to the Semi Finals of the Men's Over 45 event in the 2018 National Squash 57 Championships, that's racketball by another name. 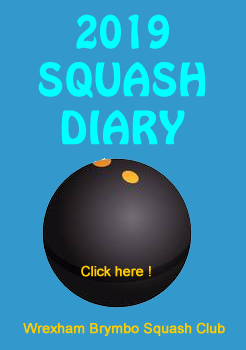 This took place on 8 July, at the Edgbaston Priory Squash Club, Birmingham. 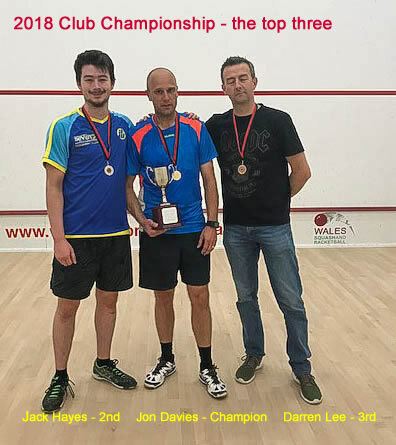 Our big annual event of the year, the Final of the 2018 Club Championships took place on 22 June, with Jonathan Davies retaining the title. The Final was contested between Jon and Jack Hayes and the Third / Fourth match won by Darren Lee against Kevin Lloyd. Congratulations to all players. The Plate Competition has still to be completed ! 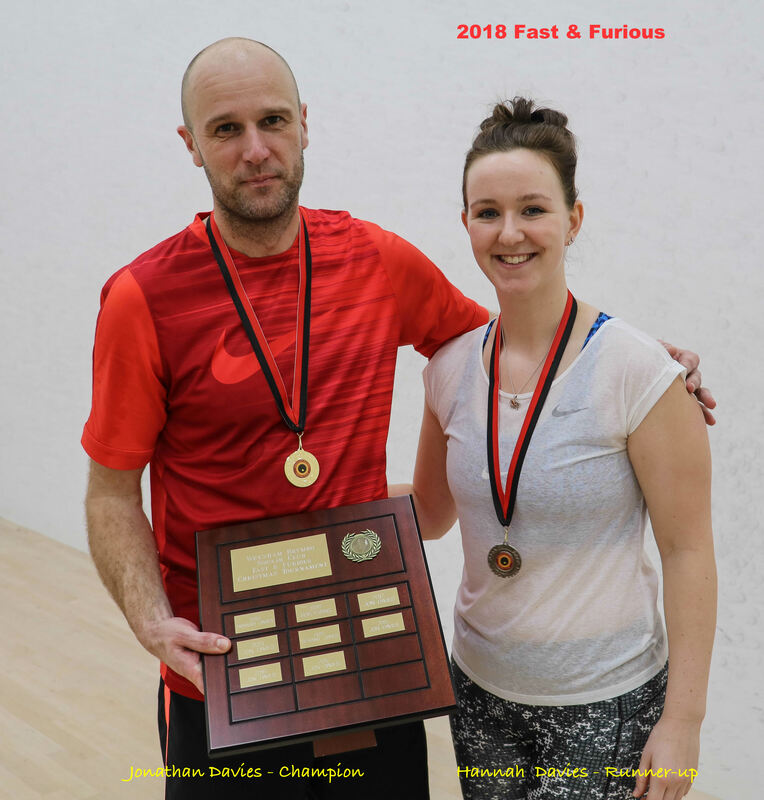 Congratulations to Sian Hughes who recently won the 2018 Civil Service Squash Masters Championship at the presigious Nottingham Squash Club. 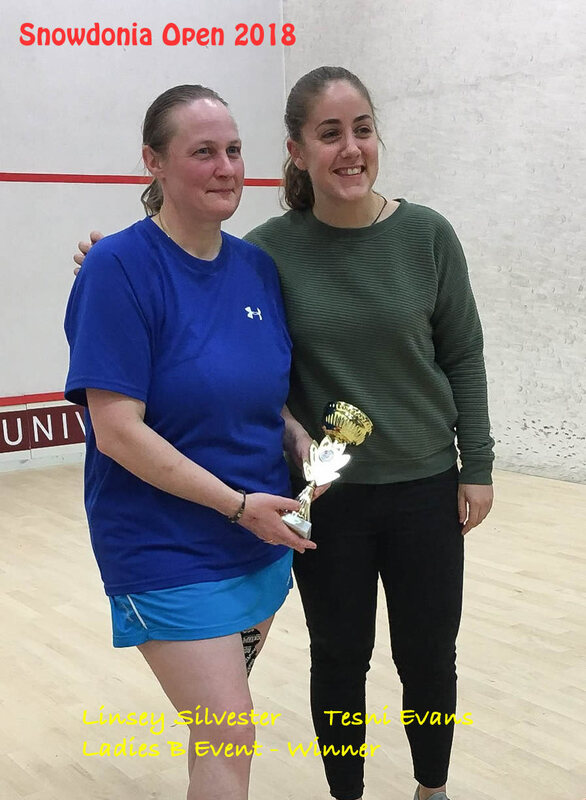 Sian was winner of the Ladies Over 50 Trophy having won some really tough matches along the way, including a comeback from 2-0 down to win the Trophy. Very well done, Sian. Thanks to those who turned out for the 2018 Squash Club Annual General Meeting which took place on Wednesday, 30 May. Items considered included our membership subscriptions, light card fees and the election of Officers for the next twelve months, as well as implications for the Club from the new General Data Protection Regulations (GDPR). * A Teams Meeting is arranged for 7.00 pm on 14 June. 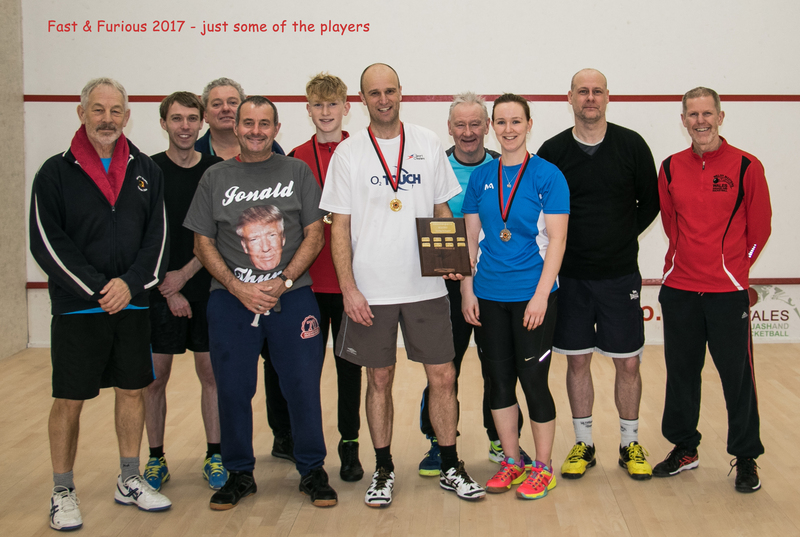 Congratulations to Mark Davies on his selection to the Welsh Over 60s Team that played the Four Nations Tournament in Aberdeen over the weekend 18 - 20 May; and winning his two matches. Very best wishes to Lee Harrison for a speedy recovery from what sounds like a very painful injury! On Sunday, 13 May, Lee fell off a ladder while cleaning windows at home - he factured three ribs and suffered trauma to a lung; he's now home but had to spent two nights in hospital. 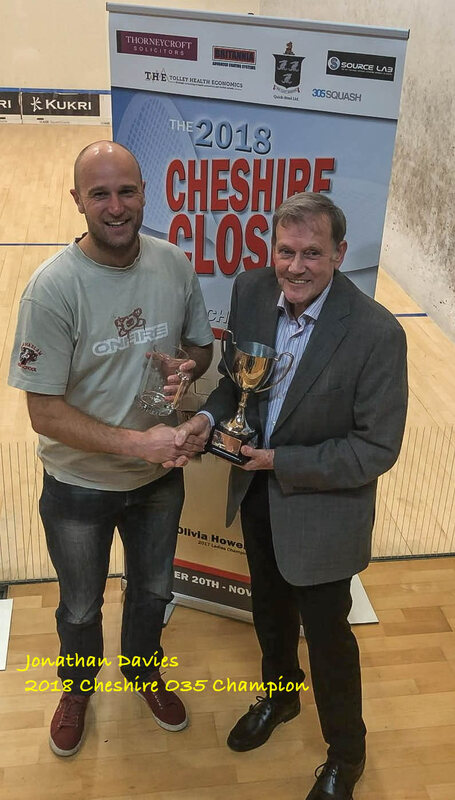 The North West of England Racketball Championships were held at Liverpool Cricket Club on Sunday 13th May when two club members won silverware. 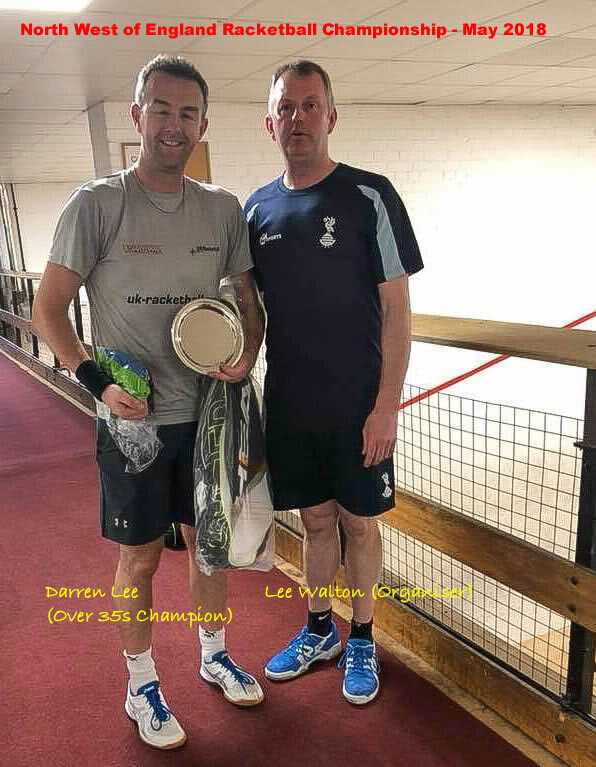 Darren Lee retained his Over 35 regional title with 4 hard fought victories, including a tight 2 1 victory in the Final against Russ Lambert, the 2016 035 Champion. Club Champion, Jonathan Davies also entered this, his first ever racketball tournament, in the A Grade event. 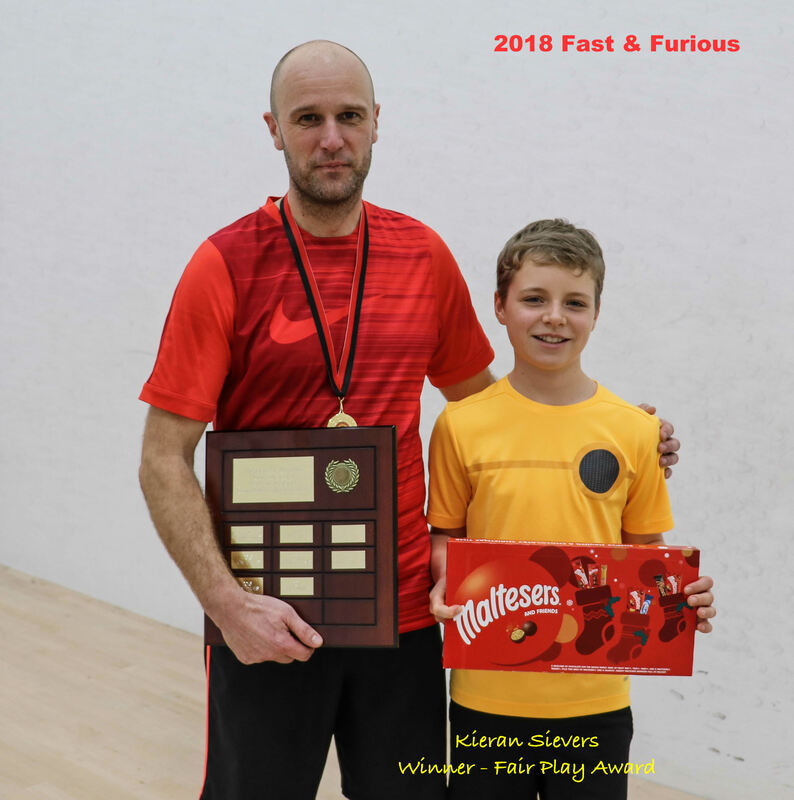 Jon had been receiving coaching from Darren over the past six months and upset the seeding by beating Liverpool Club Champion, Andrew Breen, on his way to the Runners up position. 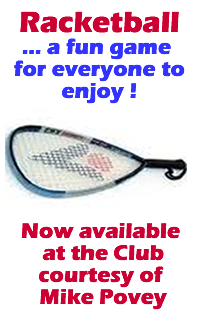 The Club hopes to put on a one day racketball event during the summer that will be open to all members. A date to be confirmed soon. Our thanks to members for their patience as we've almost completed (May 2018) the decoration of the foyer and balcony areas of the Club; noticeboards will be fixed soon and we hope you like the blue theme ! 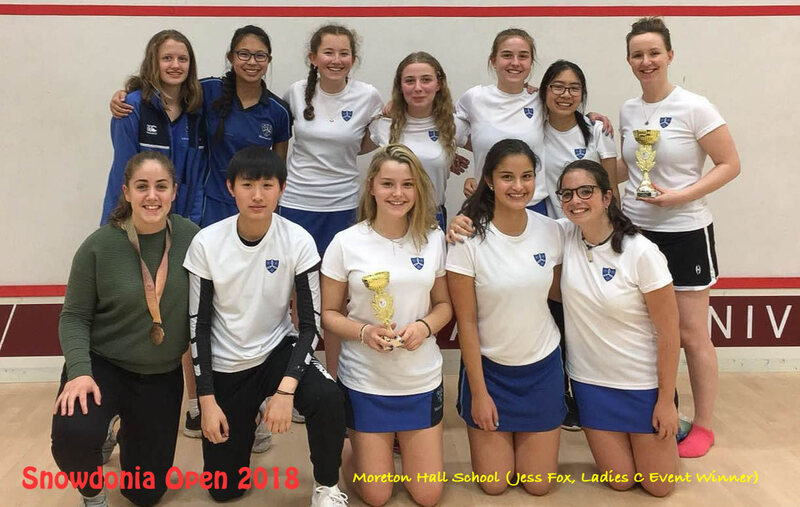 Several players from the Club did rather well at the inaugural Snowdonia Open 2018 which took place at Bangor University on 28 April. Linsey Silvester won a tough Final in the Ladies B Event. Moreton Hall School made up the Ladies C Event with the Winner, Jess Fox. Jonathan Davies beat Darren Lee in the Semi Final of the Mens A Event to set up a Final match with World Ranked player, Emyr Evans - Emyr took that 3-0. Mark Davies finished Third in the Mens B Event. Will Silvester had a great day to win the Mens C Event. It turned out to be a good first tournament and enjoyed by all. Our inaugural season finale, The Condition Game Challenge took place on 21 April. 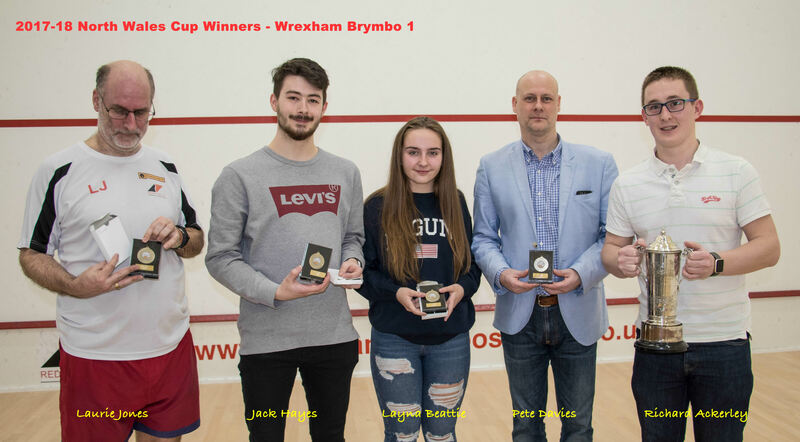 Despite a disappointing number of entrants, those who did take part enjoyed some excellent squash, culminating in a classic Youth v. Experience final match between young Josh Davies and (the slightly older) Mark Davies. A packed gallery witnessed a tight match reaching 14-14 and, in the dramatic sudden death final rally, Mark came through to win. 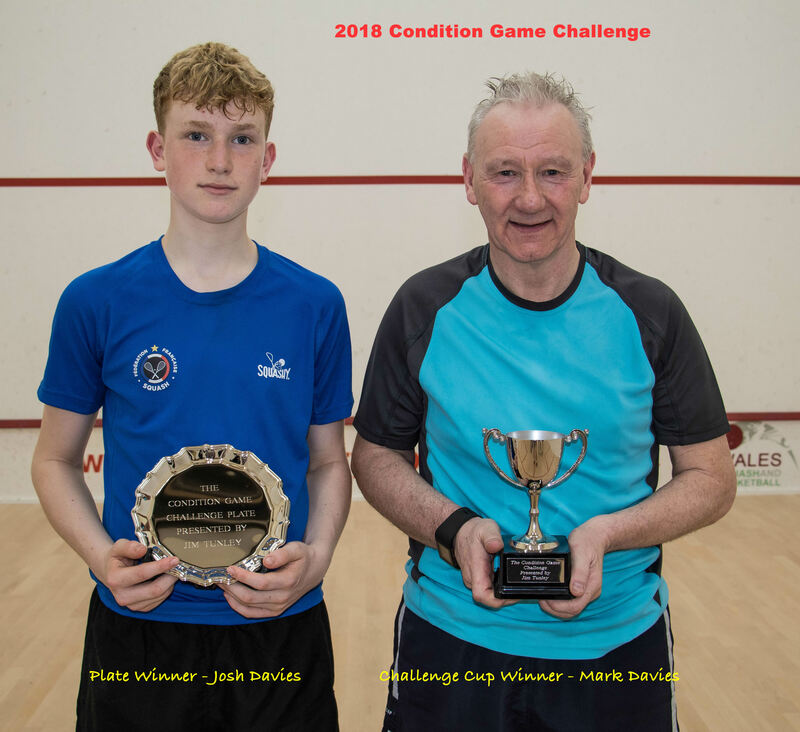 It is intended that the Condition Game Challenge should become a permanent end-of-season event; a bit of fun that will seek to raise funds for Junior Squash at the Club. Congratulations to our North Wales Teams in the 2017-18 North Wales Cup and Plate events at the Finals Day held at the Club on 17 April. The First Team contested the North Wales Cup against Cheshire County Officers and won 4-1. The Second Team were in the Plate Final and came through a tough match v. Deeside 2, winning 3-2. To complete a successful season, our Third Team won promotion from Division 3. 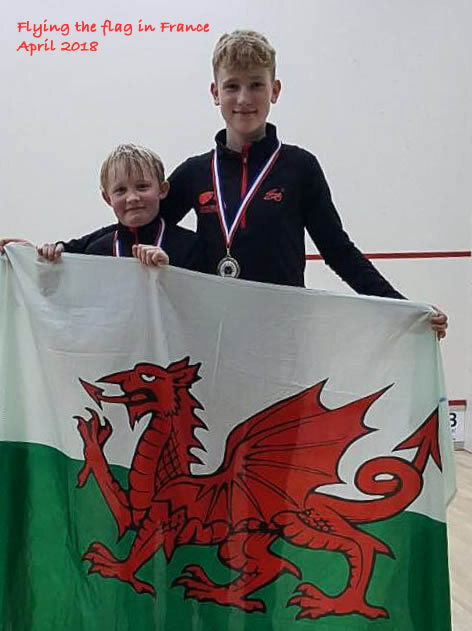 A fantastic first time experience for Club Juniors, Jamie Silvester & Josh Davies who were part of a Welsh Bronze Medal winning team at the 5 Nations Junior Tournament, in France over the Easter break. See also the Juniors Page for more photos. 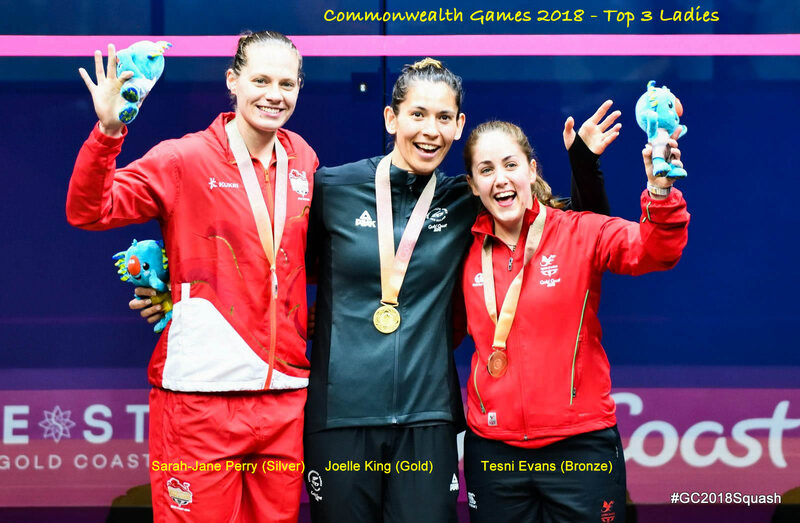 Huge congratulations for North Wales player, Tesni Evans on achieving a Bronze Medal finish at the Gold Coast Commonwealth Games, in Australia. 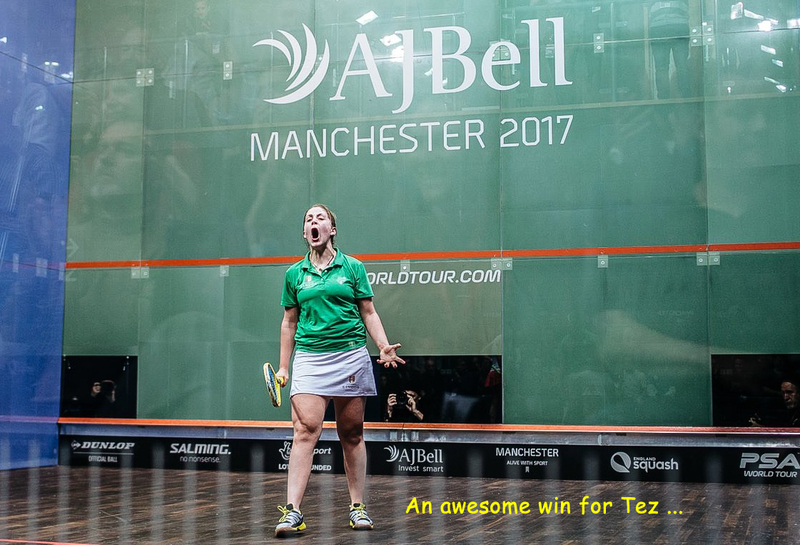 In winning her Bronze Medal match, Tez beat the former World No.1, Nicol David (Malaysia). 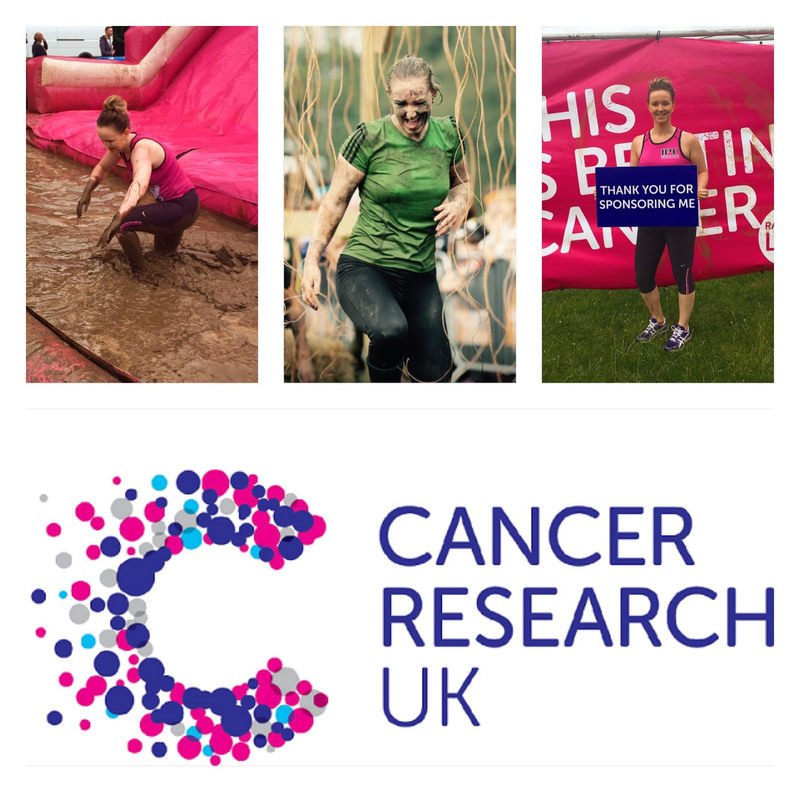 As last year, Hannah Davies is taking on another huge personal challenge to raise money for a cause that's close to many people's hearts, Cancer Research UK. Hannah has signed up for the daunting 15km 2018 Manchester Rough Runner over 16 / 17 June and would be very grateful for any support she can get please. 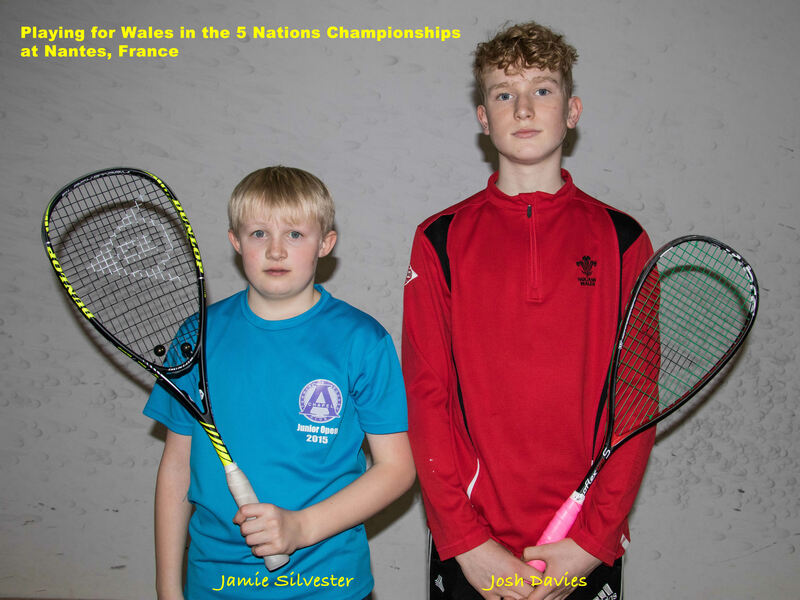 Huge congratulations to Jamie Silvester [Under 13] and Josh Davies [Under 15] on their selection to represent Wales at the 5 Nations Juniors Tournament in Nantes, France from 6 - 8 April. Brilliant news and great reward for all of the hard work and progress that they've made during the past year; well done both. Congratulations also to one of our Team players, Layna Beattie who is selected for Wales in the mixed European Team and Individual Under 19 Championships in Poland, from 24 March to 1 April. Due to a lack of support this year, our Sunday evening Club Night sessions have now stopped. We may try it again next winter ! Our Club Chairman celebrates a BIG Birthday on 3 March; have a great day and our very best wishes to you. 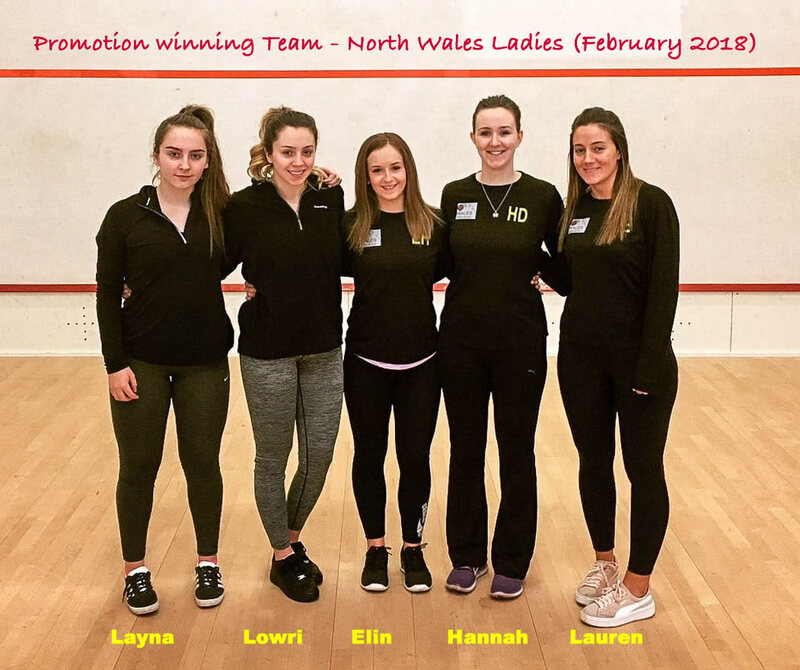 Congratulations to our North Wales Ladies Team, captained by Hannah Davies, on their excellent promotion from Division 2 in the English Inter Counties League. Their promotion came with 5-0 wins at Shrewsbury on 25 February, against Shropshire and Hampshire. 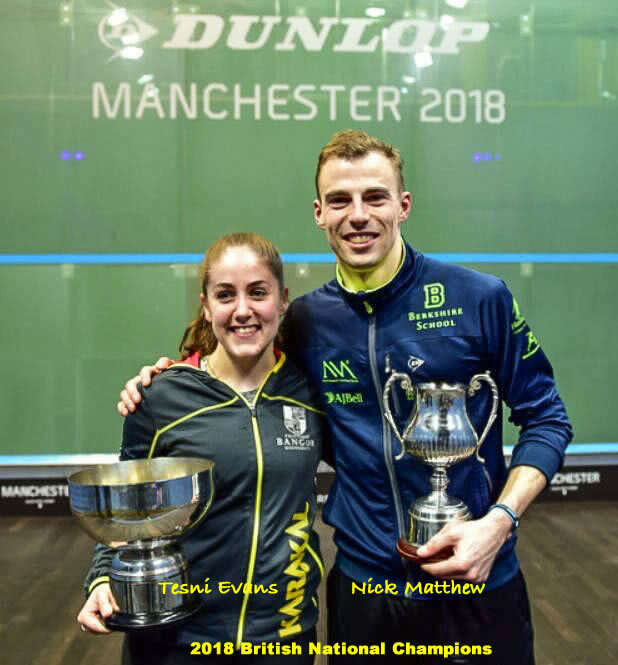 North Wales squash received a massive boost at the 2018 Dunlop British National Championships, held at the National Squash Centre in Manchester, over the week 14 - 18 February, with local girl, Tesni Evans taking the Womens crown for the first time. 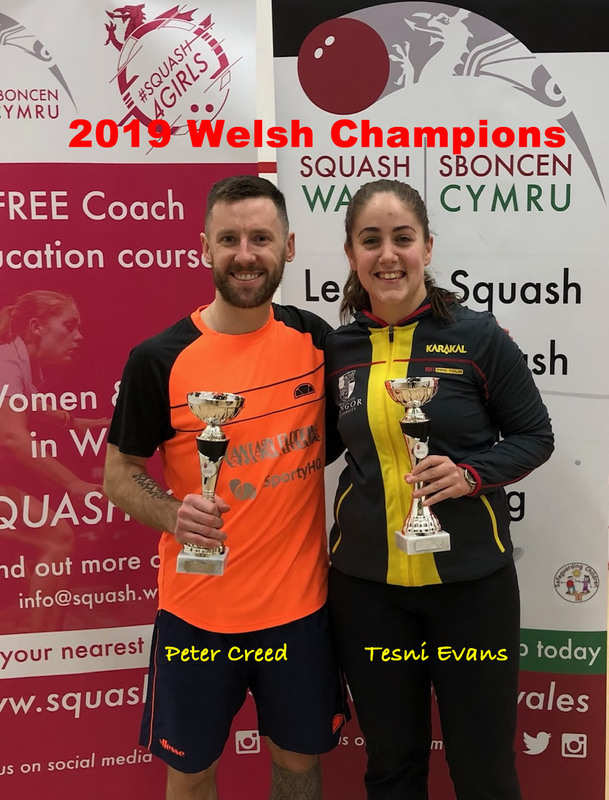 With this superb win (in three sets v. Alison Waters), Tez made history as the first ever Welsh person to win a National Championship - huge congratulations. 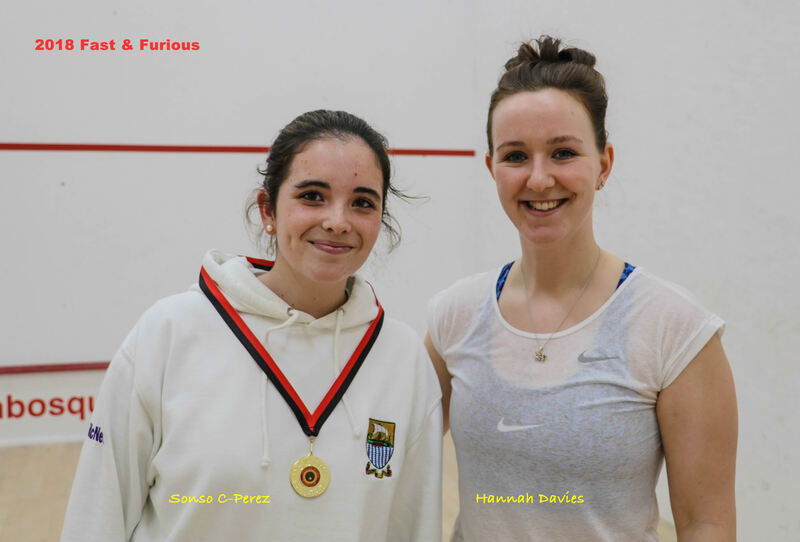 Also involved was Hannah Davies who won her first round qualifying match a convincing 3-0. 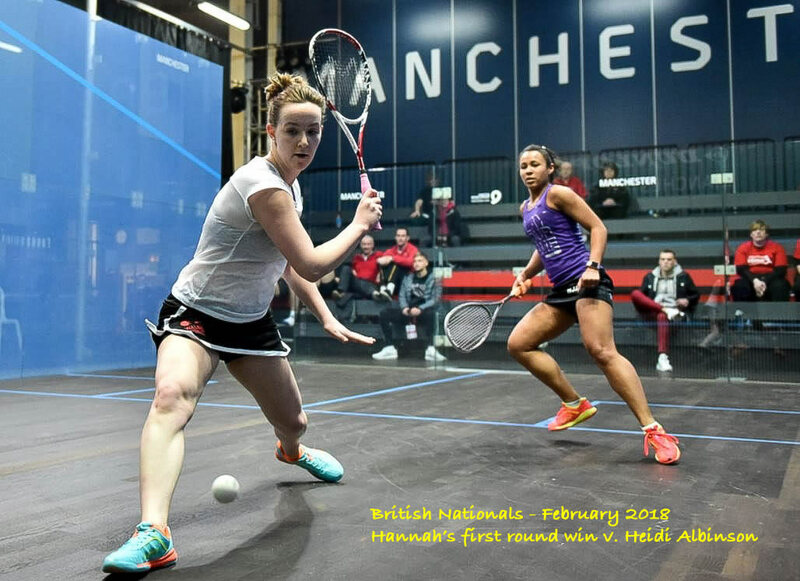 Hannah then played in the final round of qualifying against Alison Thompson from Scotland only to lose a tight match by 3-1. 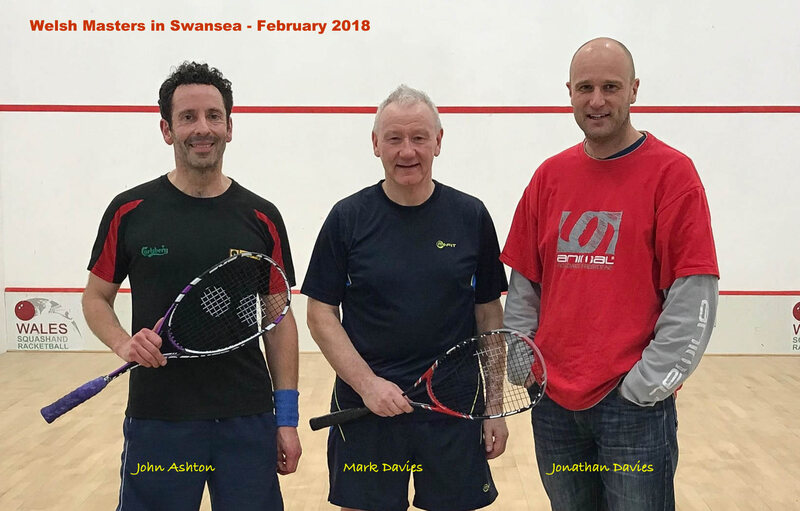 Three Club members entered the 2018 Welsh Masters in Swansea over the weekend 9 - 11 February. Club Champion, Jonathan Davies was in the Mens Over 40s; John Ashton in the Mens Over 45s; and Mark Davies in the Mens Over 55s (only just !). Mark Davies lost in the Quarter Finals of the Mens Over 55s. 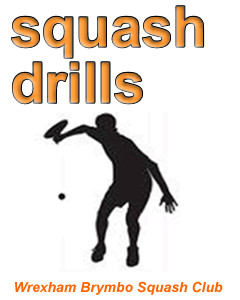 Our Winter Club Night sessions were held on Sundays evenings during February and March. It was an opportunity for all abilities to join together in a pay and play session from 4.00 until 7.00 pm. Frank, had been a great supporter of the Squash Club and to his wife, Linda and family, our sincere condolences. Young Josh Davies became a Welsh Champion in Cardiff on 21 January - see the Juniors Page for details. 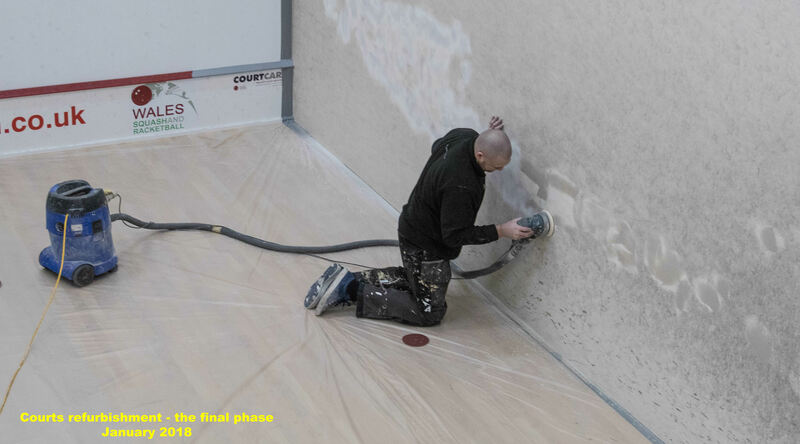 Courts refurb - the final phase. 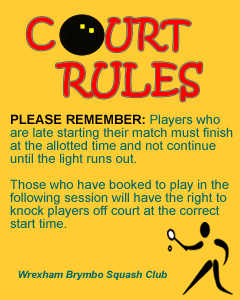 Members know that the courts are out of action from 8 - 10 January inclusive while the final work to refurbish both courts is completed by CourtCare. Work commenced on time and, with allowing sufficient time to thouroughly dry out, the courts will look like new and available again from Thursday, 11 January. 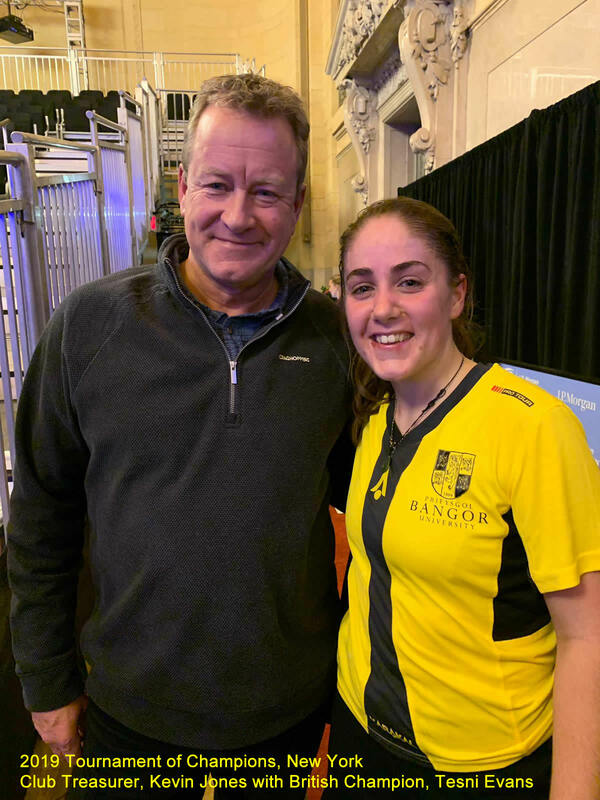 The 2017 World Squash Championships were held in Manchester over the week (11 - 16 December) and our local favourite, Tesni Evans, did rather well. Tez played and beat the former World Champion, Laura Massaro by 3 games to 1 in the Second Round. 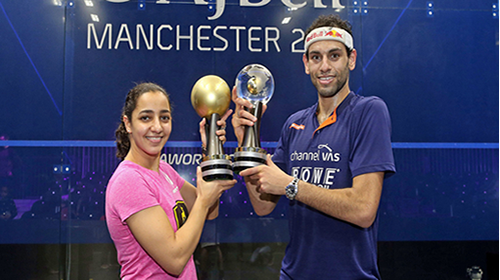 Tez moved into the Quarter Finals on 14 December but lost against top ranked Nour El Tayeb. 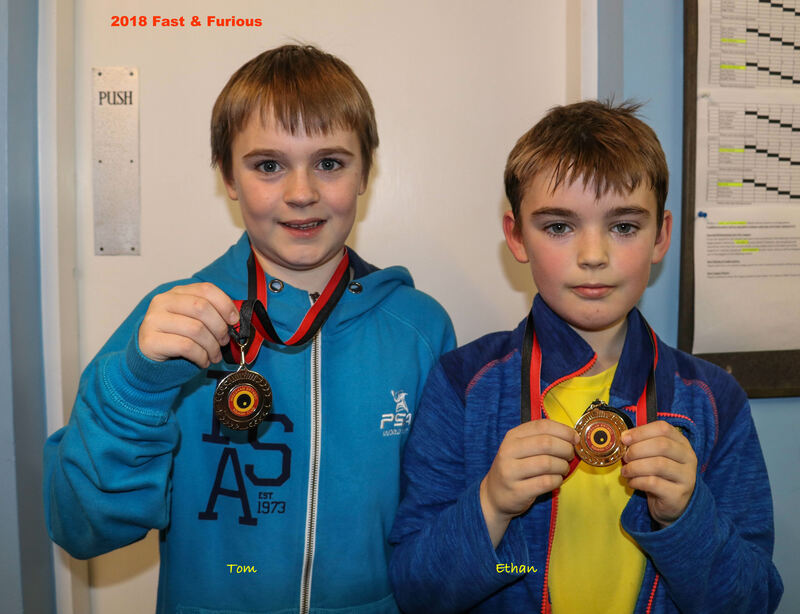 The Club held its Fast & Furious Christmas Tournament over the weekend - 8 / 9 December. Despite some heavy snow in the area, which did affect some members getting up to the Club, around 20 players of all ages and ability enjoyed some excellent competition. Overall, the competition was won by Jonathan Davies, with Hannah Davies in second place. The photo below is missing some juniors who were out making a snowman on the cricket square ! 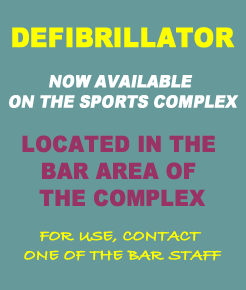 The AGM of BS&SC was held on 8 November, where they agreed New Opening Hours for the Bar; to be effective from 13 November. They will be reviewed again in the Spring. Monday & Tuesday - closed during the day; open from 7.00 until 11.00. 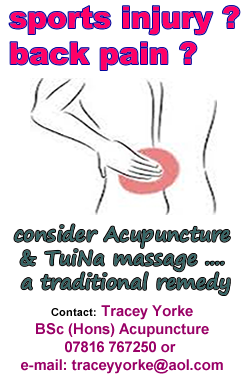 Wednesday & Thursday - open from 1.00 until 3.30 and 7.00 until 11.00. Friday - open from 1.00 until 11.00. 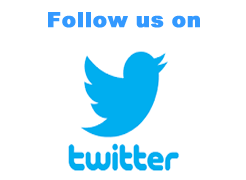 Saturday & Sunday - open from 12.00 until 11.00. Please note - this may impact on member's options to purchase light cards so please make sure you have what you need. [In exceptional circumstances Gareth Lloyd may be able to assist]. 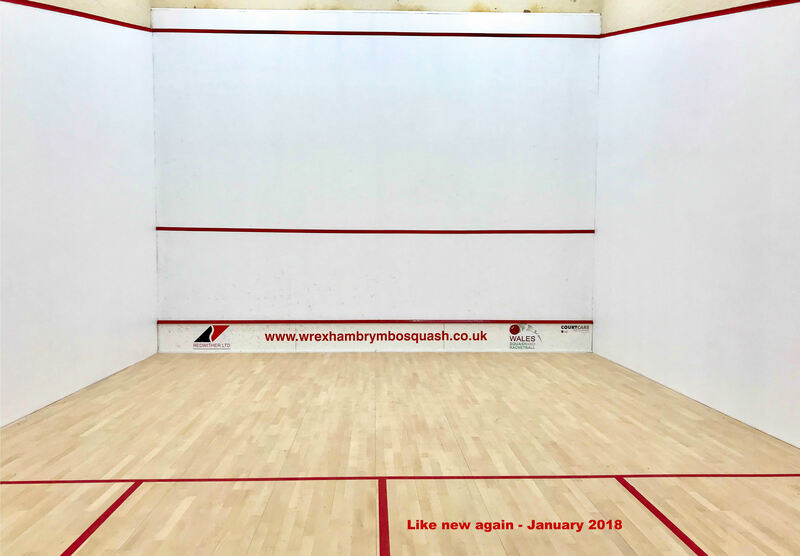 The Wrexham Brymbo Squash Club Committee is keen to ensure all matters within the Club are treated with respect and fairness and, as such, have now formally acknowledged and adopted the Wales Squash & Racketball Model Equity Policy. Calling all potential coaches . 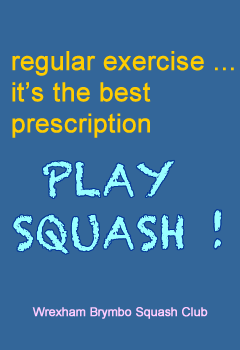 . .
Do you have what it takes to become a qualified squash coach - if so, your Club needs you! 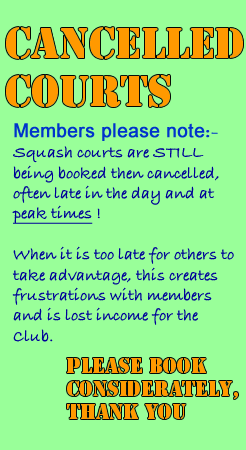 If any Club member has an interest in committing to become a qualified coach, the Squash Club may be able to assist with necessary fees and mentoring. 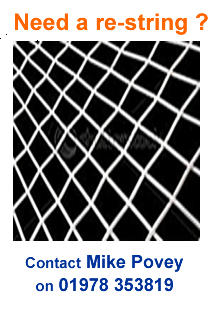 Please contact either Mark Davies or Jim Tunley to chat it through. To all members - at anytime, if you are the last to leave the Club, please ensure that the showers and all of the lights are turned off. Please be vigilant in this and report any problems that may arise - thank you.